The Contact Form 7 Controls plugin (since version 0.7.0) automatically tracks contact form submission as standard Facebook Pixel conversion events. content_name set to the form title. 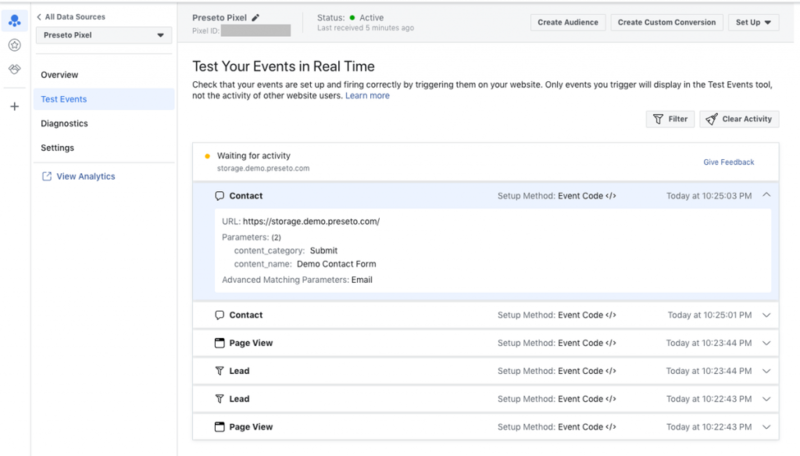 Contact event in the event real-time activity. Event tracking must be enabled for each form in the “Customize” tab of the Contact Form 7 settings. 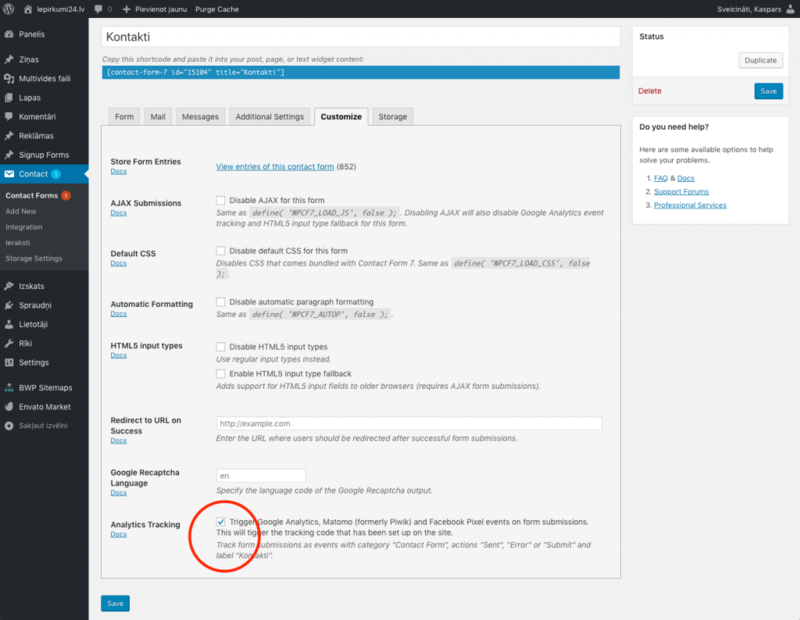 Analytics Tracking toggle in the Contact Form 7 Controls settings.